Weathering effects on red primer is almost as complicated as to choose the ideal colors to paint it. We cannot use red tones, so we can abuse of earth and dust colors. 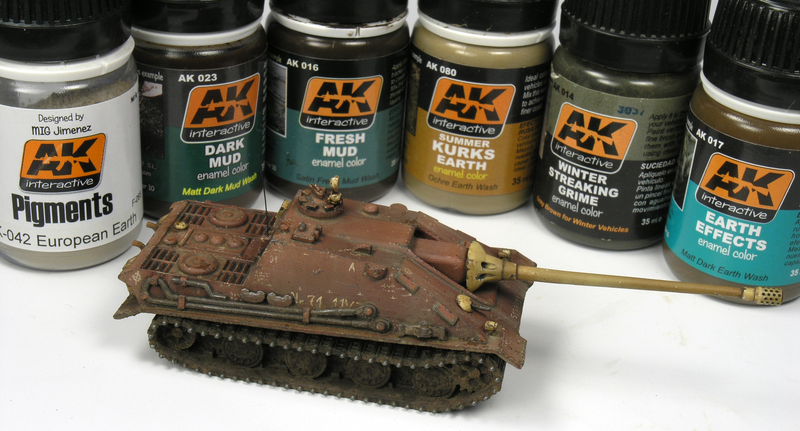 Previously we commented in this post one way to paint red primer in German tanks, a trendy pattern. First, I’m not happy with the final result. The E-50 painted by Adam Wilder inspired me to paint this tank. However, if you compare my model with him, my red color is too pale. I think the problem resides on lights, because I mixed red brown with a cream color. As far as I can see, it seems Adam Wilder applied orange lights, so his red color is very attractive! So I’ve done streaking effects on vertical pannels and accumulation of dirt on horizontal ones. Because the result still being insipid, I decided add mud effects: mud on the underbody and mud splashes. To do the first effect you can read this post in my personal blog: how to do mud. About mud splashes, I also recommend the last issue of The Weathering Magazine, dedicated to mud effects, and where I’ve had the luck to publish an article with 15mm miniatures. There, I explain how to do mud splashes in this tiny scale!. By the way, if you are interested in how I’ve painted this model, step by step, I’ve prepared a painting guide for the mexican magazine Alternativo. 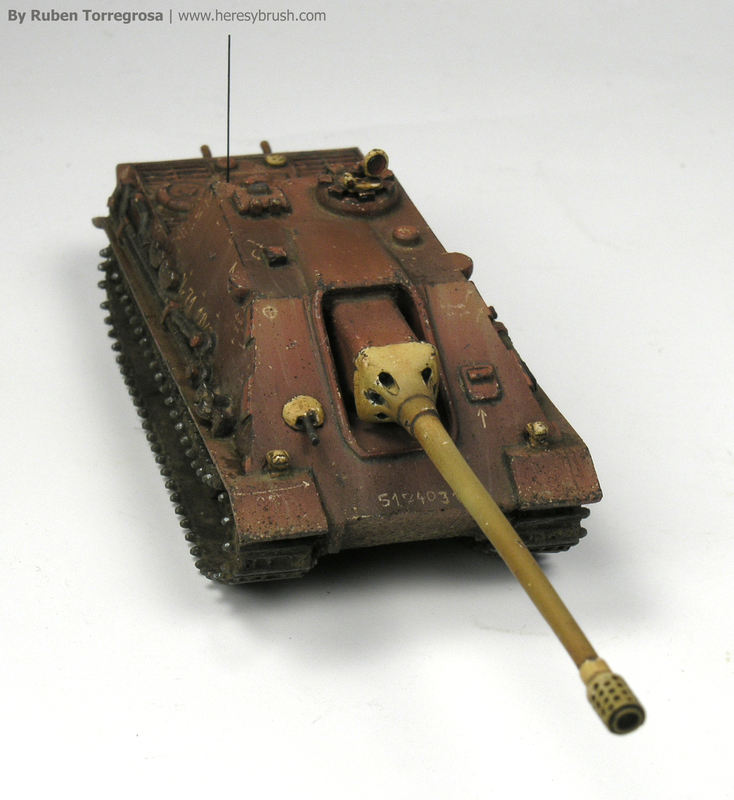 And this tank, an Jagdpanzer E-75 is from Heer46 miniatures.